What a wonderful mother’s day gift! I always request a tree or plant that can go into the ground for mother’s day. I dislike how materialistic “holidays” have become. I also know that my family really wants to satisfy their “need” to give me something, so everyone -including the earth- benefits from this! 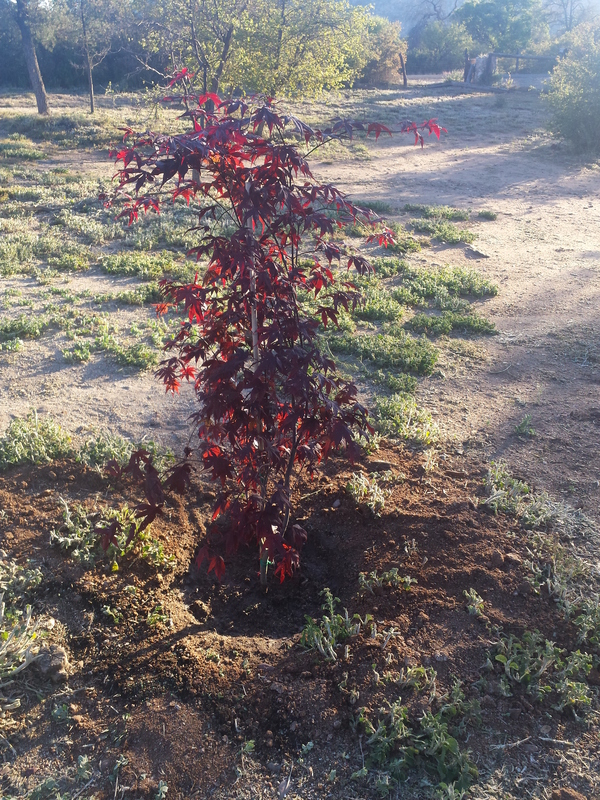 I am starting a “plant a tree for mother’s day campaign” :)…..in my corner of the world anyways. This one is a Japanese Maple.Yes, we homeschool. We have chatted about it (a while back though) and I read your awesome article looking back on homeschooling 🙂 I love hearing perspectives of those looking back on homeschooling as opposed to those who are swimming in the chaos and sometimes doubt of the day to day. Oh the gift that just keeps giving! What a BEAUTIFUL Japanese maple. “Blood good” variety? I will have to agree! Great idea!